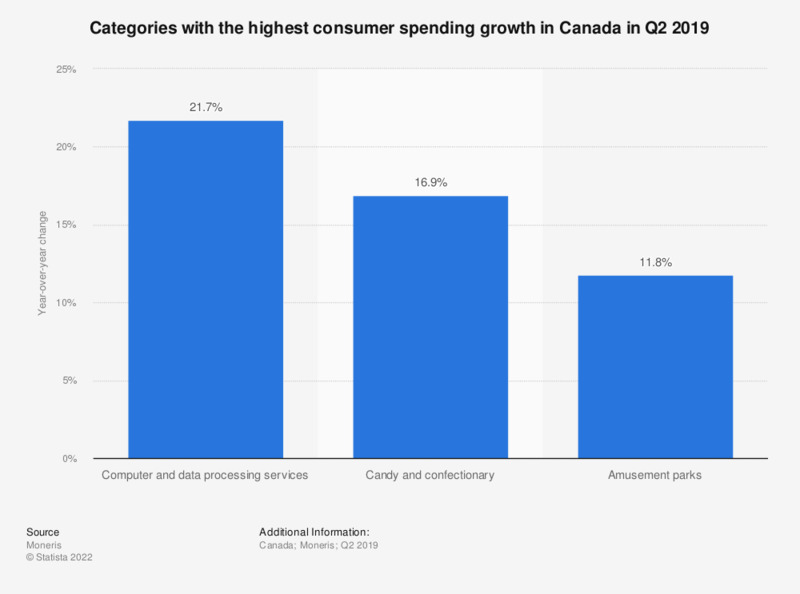 This statistic shows the categories with the highest consumer spending growth in Canada in the fourth quarter of 2018. In the fourth quarter of 2018, consumer spending in hobby and game stores grew by 10 percent compared to the previous year. Data have been calculated by analyzing credit and debit card transactions in Canada. Everything On "Holiday season shopping in Canada" in One Document: Edited and Divided into Handy Chapters. Including Detailed References. Do you expect to personally spend more, less or about the same on food and drink to consume out of home this December compared to the same time last year ? How much are you going to spend on theater in 2019?